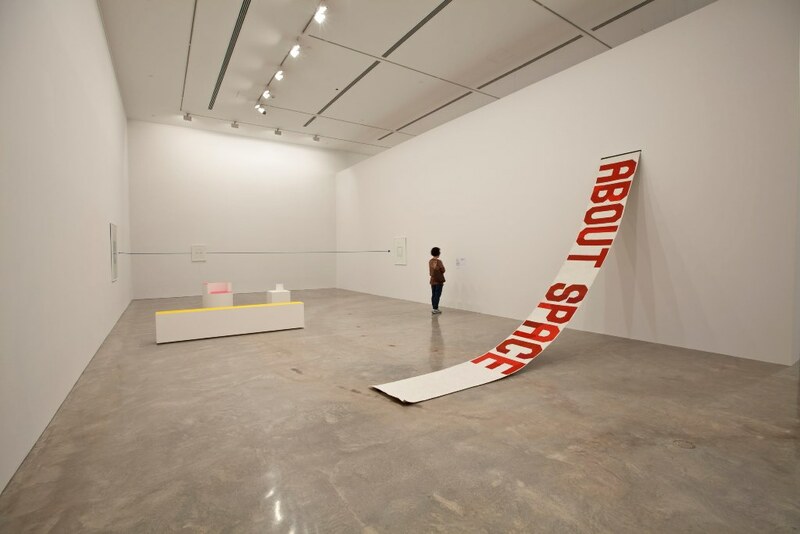 The Museum of Contemporary Art (MCA), Sydney: “Taking it All Away”, 2014. In the current exhibition “Taking it all away” contemporary visual artists explore our relationship between self and time. How do we perceive our place in this moment or the next? does time flow effortlessly from one minute to the next as minutes become hours and hours fade into the dusk of another days end? The selection of work highlights the current minimalist and conceptual trends in contemporary art. 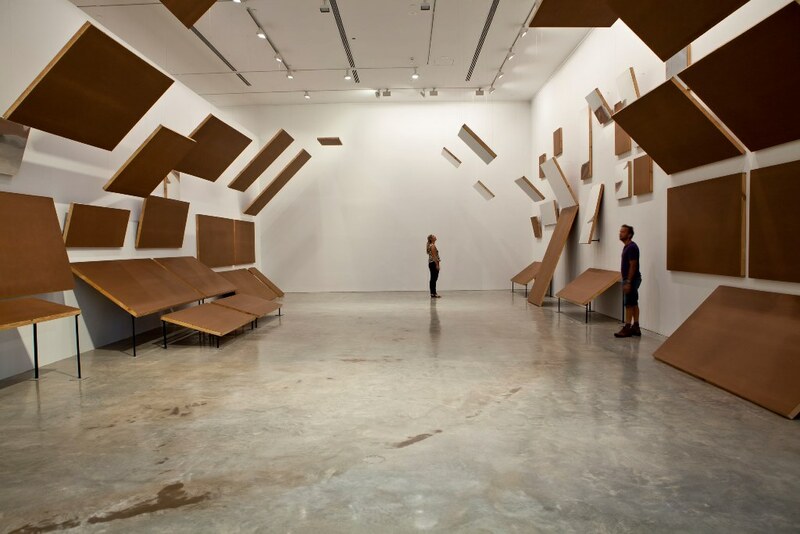 Materials are placed seemingly haphazardly across the gallery floors and walls like obstacles forcing you to take a detour and to question your place in time and in relation to the abstracted forms. Objects of the everyday such as desks, planks of wood and a clock are abstracted as minimalist stand alone representations exaggerating the sense of displaced time. The exhibition showcases the works of Christian Capurro, Peter Cripps, Gail Hastings, Robert Hunter, Rose Nolan, Stuart Ringholl and Gordon Bennett. Posted in Art Speak and tagged MCA. Bookmark the permalink. In editing mode… Started Blog today. Trial and error.